11 February 2019 Sub court in an OS case allowed the plaintiff to specific performance of agreement for sale of property valued at( 150000) ONE LAKH FIFTY THOUSAND ONLY. That time pecuniary jurisdiction of munsiff was one lakh only. Where shoukld I file the appeal , before High court or district court? However you can file the revision in High Court. 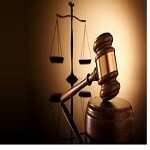 The pecuniary jurisdiction of the court is decided on the valuation of suit , you could have raised the issue before the court for wrong valuation of suit or simply agitated that the court lacks jurisdiction to try it for want of pecuniary jurisdiction...However you can raise any such issue in appeal as appeal is always in continuation of suit. 12 February 2019 The appeal shall lie before District Judge/Court. How can Civil Judge (JD) /sub-judge/ munsif entertain a suit beyond his pecuniary jurisdiction and pass a judgement/decree?